These online resources and books should be helpful to students and teachers alike: anyone who wants to understand poetry better, and anyone who wants to know how to teach poetry more effectively. The Academy of American Poets: This group of poets and poetry advocates publishes American Poets magazine. Its website boasts a tremendous assortment of resources for poets, readers of poetry, teachers, and students. See its Materials for Teachers page. Glossary of Poetic Terms (The Poetry Foundation): An exhaustive and detailed list of poetic terms. Poetry Terms: Brief Definitions (WSU): A less comprehensive glossary of terms by Dr. Donna Campbell of Washington State University, more suitable for general use by teachers and students. Poetry Terms: Revised and Expanded (Quizlet): A version of the list above in a useful format for study and memorization. More concise and potentially useful Quizlet lists can be found here and here. The Penguin Book of English Verse: A vast collection of English poems spanning seven centuries, arranged chronologically, not by author. 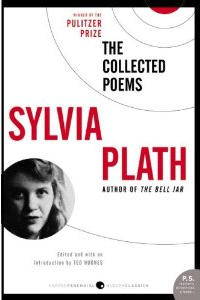 Useful for anyone interested in reading important poems and poets and discovering new ones. Note that the critical reviews on Amazon focus on the formatting of the Kindle version, not the contents of the book itself. A Poetry Handbook (Mary Oliver): Subtitled “A Prose Guide to Understanding and Writing Poetry,” this book teaches lessons for both readers and writers using examples of outstanding poetry. How to Read a Poem and Fall in Love with Poetry (Edward Hirsch): A noted poet and critic, Hirsch explores the beauty and importance of poetry, teaching readers how to understand and appreciate outstanding poems from a diverse group of poets. A Poet’s Glossary (Edward Hirsch): Described as a “compilation of forms, devices, groups, movements, isms, aesthetics, rhetorical terms, and folklore,” this reference guide draws on poetry traditions from all over the world. Hirsch has also released a condensed version of this book called The Essential Poet’s Glossary, which may be sufficient for the needs of most teachers and students. The Making of a Poem: A Norton Anthology of Poetic Forms: Edited by celebrated poets Eavan Boland and Mark Strand, this collection of poems and commentary teaches lessons on poetry by focusing on poetic forms, such as sonnets, ballads, and sestinas. For students who don’t have a lot of experience with poetry, I usually start with my packet An Introduction to Poetry: Five Poems, with poems by Billy Collins, Alfred Tennyson, William Carlos Williams, Robert Frost, and good ol’ Bill Shakespeare. Poems About Science features poems by Edgar Allen Poe, Emily Dickinson, and Robinson Jeffers, each with a very different approach to the “problem of science”: the ramifications of its truths for human society. For the poems listed below, I have written commentary and/or study questions to guide students through the process of interpreting each poem. Each image is a link to a collection of the poet’s work on Amazon; in most cases the linked book contains the poem or poems I’ve selected for my students. In The Canterbury Tales, a motley crew of pilgrims tell stories to entertain one another as they journey to Canterbury. Although Geoffrey Chaucer never finished writing it, his intention was that the teller of the best tale would be treated to a meal by the rest of the group; the telling of the tales was a kind of contest. In reading the poem, we can evaluate the tales he did write to decide for ourselves which one we think is best. I wrote these Thoughts on The Canterbury Tales to help my students explore the various criteria by which the tales might be evaluated and to measure the strengths and weaknesses of several of them. Emily Dickinson‘s 185 is a pithy, incisive poem; it is also included in Poems About Science. Robinson Jeffers, a 20th-century American poet, was an insightful prophet of the consequences of civilization for humanity. 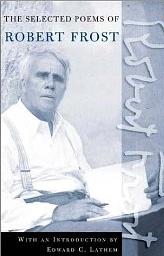 Two of his poems (“The Purse-Seine” and “Hurt Hawks“) are featured in my handout Nature and Civilization. His poem “Science” is also included in my handout Poems About Science. The book on the left is a relatively inexpensive collection of many of his essential poems. Several years ago, through my interest in Mandarin and Chinese literature, I discovered a Song Dynasty poet featured in David Hinton’s Classical Chinese Poetry: An Anthology (highly recommended) whose poetry immediately captivated me. His poems are rich in meaning, sensitive, and surprisingly “modern” in that they flout many of the conventions of classical poetry in both style and content. I wrote a blog post about his poetry, and I’ve also put together a handout for several of the poems in Hinton’s book: Discussion and Writing Prompts for Poems by Mei Yaochen. I came across William Meredith‘s interesting poem “The Illiterate” when a student of mine had to analyze it for homework. 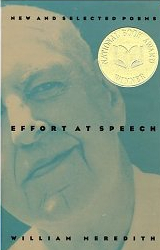 Effort at Speech appears to be a good collection of his work. John Frederick Nims’s “Love Poem” is a personal favorite of mine, as someone who finds most conventional love poems sappy and uninteresting. Here is a copy of the poem with my analysis and commentary. 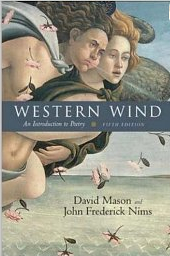 Western Wind is a highly regarded poetry textbook co-authored by Mr. Nims. Nineteenth-century American weirdo Edgar Allen Poe, also a fun prose writer, wrote the unapologetically biased and romantic “Sonnet: To Science,” which is one of the poems in my Poems About Science handout. The popular Victorian poet Alfred, Lord Tennyson wrote a simple but memorable poem called “The Eagle” that I like to discuss with my less experienced students because it doesn’t present any particularly difficult interpretive puzzles, and it provides clear examples of a number of rhetorical and poetic devices.